See how you stack up against our anchors and reporters! It's that time of year again. March Madness is here! If your bracket got busted early last year and you're looking for redemption, or you're seeking a repeat win, you may be in luck. 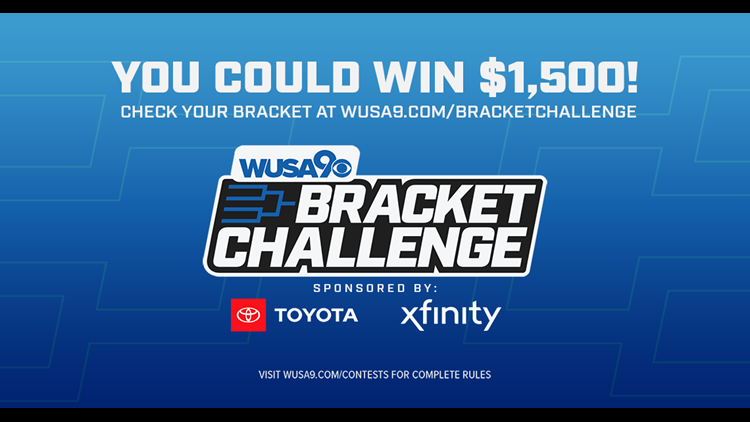 The WUSA9 March Madness Bracket Challenge is the perfect opportunity to earn bragging rights. You may even beat our sports anchor Darren Haynes! The grand prize is $1,500. The second place winner will get $500, and the third place winner will get $200. May the best team (and bracket) win. If you're on our app, please go to our mobile site.